Cutting is cutting, right? Wrong. One incorrect cut can be very costly. If the metal is expensive, you have just lost the cost of the entire sheet. Regardless of the cost of the metal itself, if the cut is incorrect, your final product may not function properly. You are precise in your designs, precise in your assembly and precise in the way you run your business. Why would you want anything less than perfection when it comes to the parts that you use for your final product? VanAm Custom Manufacturing shares your passion for precision in everything we do. 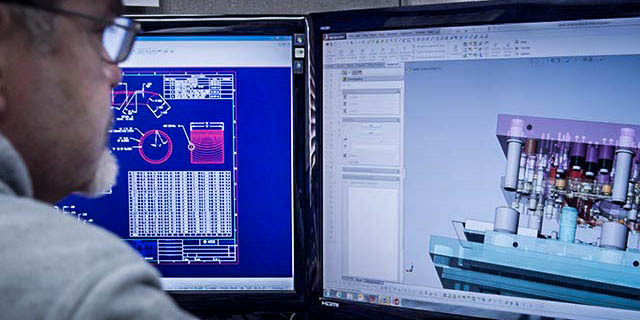 We laser-cut your parts to your exact design specifications using a CAD (computer-aided design) file. You can either supply the design or work with our team of engineers and designers to create the perfect part to meet your production needs. We have two (2) 4000-watt lasers and one (1) 6000-watt laser that can cut material ranging from 0.020″ thick to 1″ thick. Regardless of the thickness of your material, our 60″ x 120″ & 80” X 160” cutting tables guarantees that we can handle the largest of parts with laser accuracy. These machines emit a laser beam from its tube. The beam is then reflected by several mirrors into the laser head, which contains the final lens that enables us to focus the beam onto your material, either to cut it to shape or to engrave it with pinpoint accuracy. Additionally, since we use laser cutters, we are able to fill your order extremely efficiently and effectively. Traditional saws and torches leave behind metal shavings or sharp edges that then need to be deburred. Our laser cutters leave a smooth edge each time so that little to no material is wasted and your part has a clean, smooth surface. 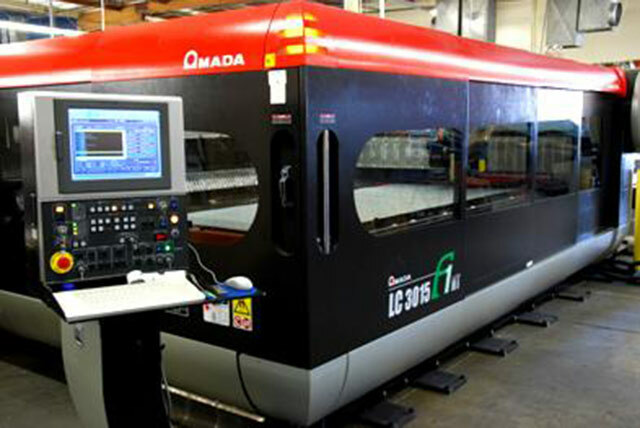 Depending on the finished product, we may use our state-of-the-art five-axis laser cutting system. This system boasts a 28.3″ “Z” height for the ultimate in 3D part and structural shape cutting. We can also offer a 6th axis rotary for unparalleled processing of tube and pipe, again with minimal waste and no secondary machining required to deburr each part. We can work with cold rolled metals, hot rolled metals, stainless, aluminum and abrasive-resistant metals to provide you with a range of choices for your finished product. We work in a variety of industries that demand skilled precision work such as the aerospace industry, the pharmaceutical industry and the food services industry, to name a few. But whether you are crafting an integral part of a military helicopter or simply creating a better hull for a toy sailboat, our precision and cost-effectiveness will improve your company’s bottom line. Contact us today so that we can begin partnering with you on your projects of tomorrow.